Before you start, please, make sure that you are reading the right article. 1. Log in to our webstore using your e-mail and password. 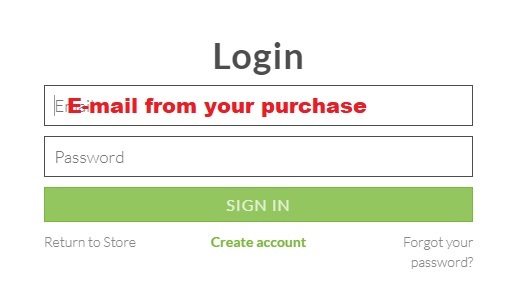 If you don’t have an account - create a new one using the e-mail from the purchase. 3. Note that NOTHING is selected (the grey circles are empty) for the first subscription shipment (e.g which is going to be in 3 months after your Smart Garden 9 purchase with the Subscription or 2 months for the Smart Garden 3). If you won't select any plants, then a default pack will be sent to you, that is: Lettuce 3-pack, Mini Tomatoes 3-pack (+Basil 3-pack for Smart Garden 9) . To select the plants, press on "Add Product" button that is under every picture with the plant. 4. Don't forget to SAVE your selection! If you'd like to change any of the selected plants - simply press that is from the right of every selected plant. If you'd like to change the credit card, shipping information, skip order or cancel the subscription, press "Subscription Settings". Here you should use the button "Manage", and all the possible changes that can be applied to your subscription will appear. "View/Update Card" will allow you to change the credit card, "Update Address" if you would need to use another shipping info, "Upcoming Orders" if you'd like to Skip the upcoming order, "Cancel Order" will cancel the whole subscription.